The first ever study of microplastics in Lake Winnipeg has revealed concentrations higher than those reported in Lake Huron and Lake Superior, and similar to those reported in Lake Erie. Funded by the Lake Winnipeg Foundation, the results of three years of sampling across both basins of Lake Winnipeg were published last week in the journal Environmental Pollution by researchers at Lakehead University, The University of Manitoba, and the International Institute for Sustainable Development (IISD) Experimental Lakes Area. 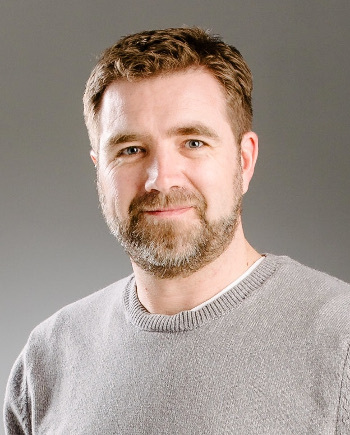 Dr. Michael Rennie, an assistant professor in Biology at Lakehead University and Canada Research Chair in Freshwater Ecology and Fisheries, oversaw the research. Dr. Rennie is also a research fellow with the IISD-Experimental Lakes Area. “I was surprised to see the levels so high compared to those reported in the Great Lakes, which were collected and analyzed using the same methodology,” he said. Counts of the plastics were consistently high across all three years sampled. Positioned prominently in the southern half of the Province of Manitoba, the Lake Winnipeg watershed supports approximately seven million people spread out over nearly one million square kilometers. By comparison, Lake Erie – the most comparable in microplastic pollution to Lake Winnipeg – supports 12 million people in a watershed 1/10th the size of Lake Winnipeg. “The comparable densities of microplastics, despite the big differences in the number of people and how spread out they are, suggests either a major role of long-range transport, or there’s a major source somewhere on the lake or in the watershed that we’re missing,” Dr. Rennie said. Unlike the microbeads that have attracted so much attention in the media, most of the particles found by the researchers were fibres. “Fibres can come from a number of different sources, but recent research has shown that the washing of synthetic fibres can release large quantities of plastic fibres into the waste stream,” Dr. Rennie said. The research is the latest to report contamination of inland waterbodies contaminated by microplastics. However, the effects on aquatic organisms are still relatively unknown. The research provides important baseline information for future studies, and for understanding sources and transport of microplastics to the lake, the focus of ongoing research at the University of Manitoba by the authors. Dr. Rennie oversees the Community Ecology and Energetics Lab at Lakehead University, and research fellow with the IISD-Experimental Lakes Area. As a Canada Research Chair in Freshwater Ecology and Fisheries, his research focus is to understand how human impacts affect rates and directions of energy flow through aquatic food webs. For more information, contact Dr. Rennie, Lakehead University at (807) 346-7860 or mrennie@lakeheadu.ca.